Huge achievement for the Telecom markets. The impact of having a mobile phone is quite far reaching than just enabling communications. Cellular Phone became a life style for many, a life saver for some and integral part of their livelihood for a whole lot of others. 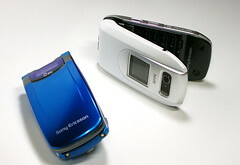 As per the statistics, at the end of 2007, as per ITU report, one in two in the world now have a cellular phone. Wow! THE number of mobile phone users world soared to over 3.3 billion by the end of 2007, equivalent to a penetration rate of 49 percent, the International Telecommunications Union has said in a report. Africa showed the strongest gains over the past two years and more than two thirds of all mobile subscribers were from developing countries by the end of 2007, the ITU said. This is 'a positive trend that suggests that developing countries are catching up," the report said. Mobile subscription growth stood at 39 percent annually in Africa between 2005-2007, and 28 percent in Asia over the same period. India and China added 154 million and 143 million new subscribers respectively. The global annual average growth rate stood at 22 percent, the ITU said. Huge achievement for the Telecom markets. The impact of having a mobile phone is quite far reaching than just enabling communications. Cellular Phone became a life style for many, a life saver for some and integral part of their livelihood for a whole lot of others. As per the statistics, at the end of 2007, as per ITU report, one in two in the world now have a cellular phone. Wow! There was a significant hike in the prices of rice in US. Some varieties of rice is just not available any more in most Asian grocery stores. Read the other post where I learnt that the problem with what and how America eats is a lot bigger and worse than it appears What is wrong with what Americans eat. I am trying to decipher the hidden meaning of these Market signals, and I found some surprising and totally shocking information on who consumes the most grains in the world. If I just say it, you probably won't believe it. So , I found this article that substantiate in real numbers. I put the information represented in this article in charts so it will put the differences in better shape. 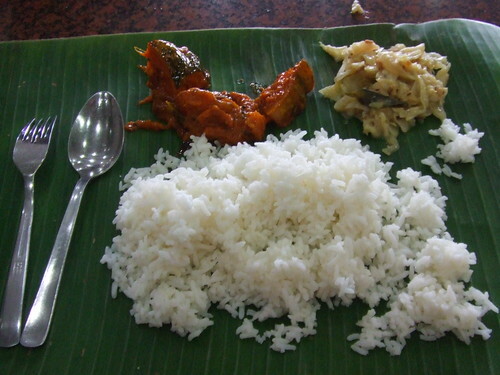 Remember Rice is an integral and key part of every Indian meal, and yet they consume so less. So now you see the point. Somehow, Americans are totally eating all my rice, though rice is not a primary diet for them. Obviously, rice and beef is not everything that you will see stark and huge difference in consumption. But you get the point. Read the following article excerpts for more. Due to their huge populations, countries like India and China may appear to consume gigantic amounts of food. But the real elephant in the room that nobody is willing to talk about is how much each person gets to eat. And the answer will shock many. Total food grain consumption — wheat, rice, and all coarse grains like rye, barley etc — by each person in the US is over five times that of an Indian, according to figures released by the US Department of Agriculture for 2007. Each Indian gets to eat about 178 kg of grain in a year, while a US citizen consumes 1,046 kg. In per capita terms, US grain consumption is twice that of the European Union and thrice that of China. Grain consumption includes flour and by conversion to alcohol. In fact, per capita grain consumption has increased in the US — so actually the Americans are eating more. In 2003, US per capita grain consumption was 946 kg per year which increased to 1046 kg last year. By way of comparison, India’s per capita grain consumption has remained static over the same period. It’s not just grains. Milk consumption, in fluid form, is 78 kg per year for each person in the US, compared to 36 kg in India and 11 kg in China. Vegetable oils consumption per person is 41 kg per year in US, while Indians are making do with just 11 kg per year. These are figures for liquid milk, not for cheese, butter, yogurt and milk powders which are consumed in huge proportion in the more advanced countries. A significant proportion of India’s population is vegetarian, and so, this is all the food that they get, apart from vegetables and pulses. But the source of carbohydrates and fats is mainly derived from food grains and oils. Still not convinced, read this New York Times article “Rethinking The Meat-Guzzler“. One of the key take-aways from this article on typical consumption and the effect of producing that heavy meat demand how America is contributing to environment. Doesn't size of population in China and India matter? It does. But that is not the point. What gives the right to Americans to eat SO much? And why people from other countries are so less privileged to access to food grains. So long, they couldn't afford. Not they are catching up. If they do what Americans do, the whole world will be in deep trouble. For sure, because of its sheer size. In a global economy, every world citizen must adjust, and I guess it has to start from Americans as much as it is from China and India, for they eat so much of 'every thing' starting from food grains to meat and drinks to causing an alarming rate of pollution. Seems like great happy hours to learn every 2nd Friday, if you are out of Delhi. Otherwise, you may still catch some action on the video. If you are a technology entrepreneur and based out of Delhi, you should book your date with NASSCOM’s Friday 2.0 sessions. These experience sharing talks are organised on the 2nd Friday of every month at the NASSCOM office in Chanakyapuri, New Delhi. These talks are not new- in fact, they have been organised for a couple of years now, but given that 2.0 is the ruling flavor these days and symbolises maturation, growth, repositioning, re-orientation etc., they decided to christen the sessions NASSCOM Friday’s 2.0. Check out this page for details about previous sessions. Multi Year EAD For Those Waiting on AOS? Recently there has been some discussion about USCIS issuing multi-year EADs to applicants that are waiting on Adjustment of Status. Particularly keeping in view a huge number of applicants that filed last summer. You can read more regarding this question asked by attorneys in this document released by USCIS. USCIS hasn't committed any dates in the answer but said will look into this matter. I was searching for something and found this document by USCIS that is meant for asylees and USCIS indicated that it will issue multi-year EADs up to 5 years. So, multi-year EAD concept is not new to USCIS, its just that it is not applied to regular applicants that are waiting on AOS(I-485). Another point to note is that multi-year EAD isn't any cheaper as most of us might be looking. Its almost yearly EAD fees * Number of years ( little less may be). May be you can save your attorney filing fees and filing expenses if you can apply for a multi-year EAD. Hope USCIS looks into the matter at the earliest and issue multi-year EADs to all those applicants that are waiting on AOS. So, does that mean Job Market is getting better? Does this mean Job market is improving? Could this be an indicator of any stability or I would say resistance to recession by the market? I hope so. The number of U.S. workers filing new claims for unemployment benefits fell last week for the second time in three weeks, suggesting some stability in labor markets this month after four-straight declines in monthly nonfarm employment. AT&T says it will provide 3G network in 275 markets by 30th of June this year. Couple this new item with what will happen in the first of week June, the well rumored 3G iPhone release, AT&T is looking to dominate the 3G market. In a press release that carefully avoids any mention of the iPhone, Apple’s U.S. mobile carrier announced Wednesday that roughly two-third of its nationwide cell phone network be 3G ready within the next month. By the end of June, according to AT&T, 275 U.S. markets will offer download speeds of 1.4 Mbps and upload speeds of 500 to 800 kbps (using HSDPA for downlink and HSUPA for up). I have never seen any one that could derive some sense out of numbers, that are otherwise overwhelmingly complex. But Hans is a genius that could so clearly explain how a country's economic development contributes to health and how different parts of the world are growing. Amazing and eye opening presentation. I have been receiving lots of emails (92 emails yesterday alone) asking why they haven't received any notification from USCIS and how long they need to wait to get any confirmation. Some even getting suspicious about their employers that they are not telling them any truth about the whole processing. This prompted me to write this post. Hopefully everyone that is visiting this blog and asking questions in the blog posts will read this post, as it would be practically impossible to send response to each and everyone. Why I haven't received any notification? Employers are constantly receiving notifications every day, however there is no data on how many applications have been notified already. So everyone must wait until USCIS notifies that it had sent the final notification. You must wait at least until the first week of June or until USCIS issues an notification that it had sent the last notification. Be patient and there is no point getting suspicious about your employer. If you can't trust your employer now itself, it would be very difficult in the future, as there is lot more uncertainty awaiting in the future. I have noted all your email addresses and will send you an update by email whenever we see any notification from USCIS regarding this situation. You can alternately subscribe to this blog by email to get immediate alert whenever I write a post. Hope all readers will understand and wait for a while before sending emails almost everyday asking about any new updates. Thank you and wish you all good luck. This is the first time ever attempted to take Olympic torch to the top of the world. Its an amazing feat to carry the torch to the top of Mount Everest. The world's finest games at the top of the world. Kudos to Beijing for the plan. Hope, people will put their political views aside and enjoy these wonderful moments of the Games. T-Mobile surpassed 30M mark in total subscribers by adding almost 1 million subscribers in the last quarter itself.